0.0.1 Good Evening Guys and Girls a BFK exclusive! Goliath is back with his amazing addons. This blog will show you How to install cartoons 8 kodi addon , the best Cartoon addon on Kodi by far, it has just had an update so is fully working again. My Boys love this addon it has something for all of them. Great to see you back mate! 1.0.0.1 How to install Cartoons8 Kodi Add-on. 1.0.0.2 Any issues to encounter with the addon please direct to the addon dev we can not help you with these. Good Evening Guys and Girls a BFK exclusive! Goliath is back with his amazing addons. This blog will show you How to install cartoons 8 kodi addon , the best Cartoon addon on Kodi by far, it has just had an update so is fully working again. My Boys love this addon it has something for all of them. Great to see you back mate! Hope this blog finds you all well. Wow what a month for BFK the site growth has gone through the roof again, to think we only launched in October to get the site hits we are getting is beyond my expectations. This would not have been possible without all of you so Thanks again from the whole team here. You are all stars and part of our team here. Please keep re-tweeting our tweets and sharing blogs on Facebook so more people get to know our site. Loving the tweets we are getting for you guys to such a motivation to hear all of your positive comments and thoughts regarding the site. Its jam packed with thousands of cartoons and Kids Movies and is a must have add-on on anyone’s setup. SO WHAT ARE YOU WAITING FOR? 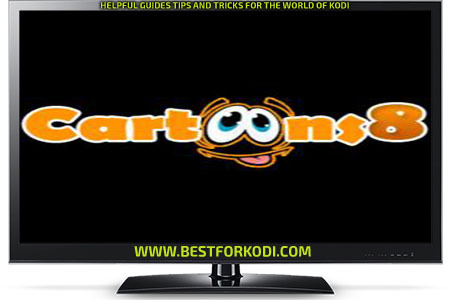 How to install Cartoons8 Kodi Add-on. Kodi 17 Install GuideHOME Screen – Add-ons – Settings button (Cog icon) – Enable Unknown Sources. Install from zip file – repository.Goliath.x.x.x.zipWait for Add-on enabled notification. 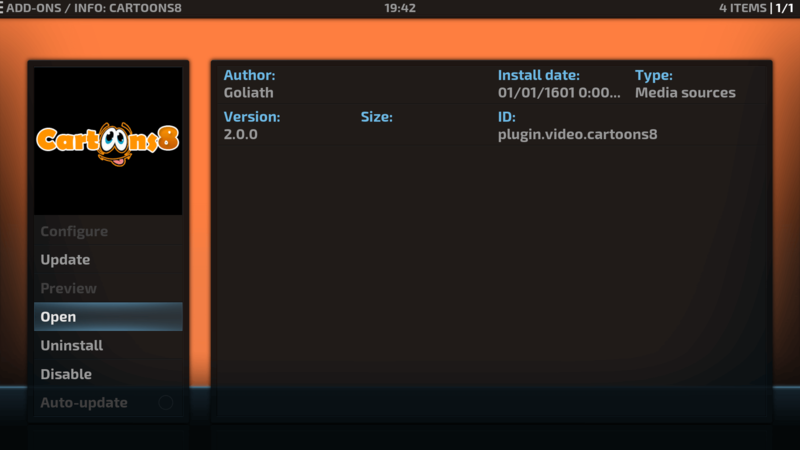 Install from repository –Goliath Repo – Video add-ons – Cartoon8 Addon – Install. 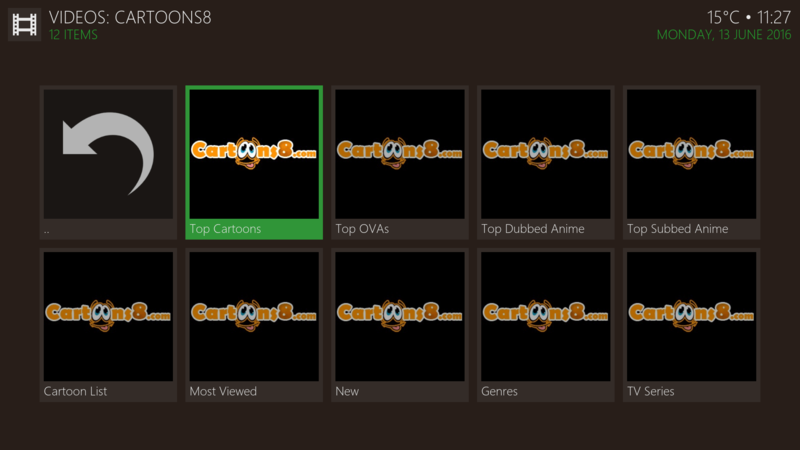 Cartoon8 Addon is now installed and ready to use. The Add-on can now be located from HOME screen – Video Add-Ons – Cartoon8 Addon. You are all ready to go and chill whilst your kids get their cartoon fix!